48-Hour Online Only Sale! Limited Time Only – While Supplies Last! The package is valid for up to 10 guests. * Reservations must be made at least 72 hours in advance. Reservations are based on availability. Guest must call the park to make reservation and mention this voucher at the time of booking. Party package is for up to 10 guests. Additional guests may be added for an additional fee. * Birthday Blowout package only good Sunday – Friday!! Not valid for Saturday birthday parties. No exceptions. * If party is scheduled on Saturday, party will be charged full price and amount paid for Birthday Blowout will be applied towards party balance. 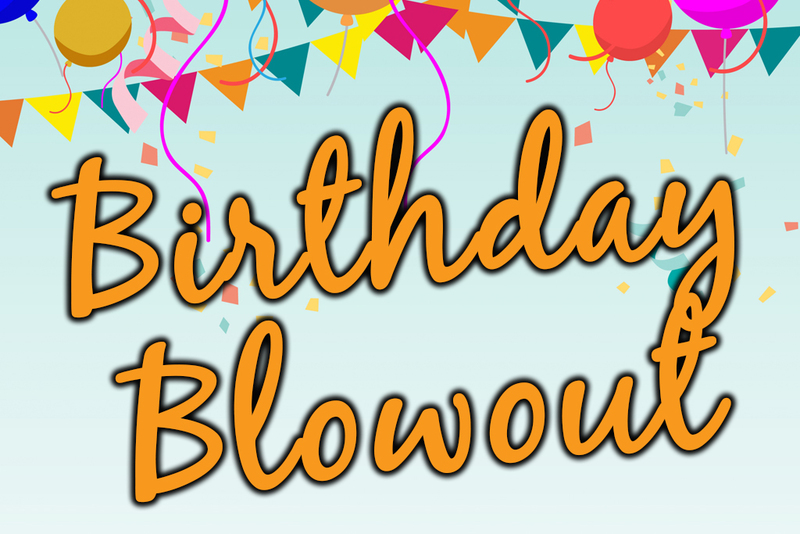 * Birthday Blowout specials may be redeemed starting 3/17/19 and are valid for one year. * Some attractions are weather permitting and seasonal – call park for details.